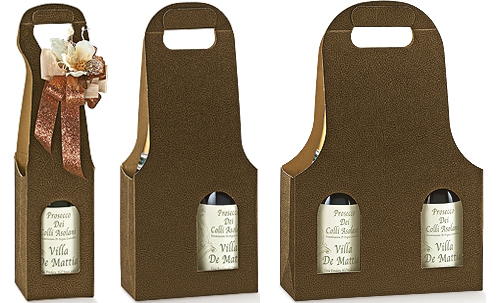 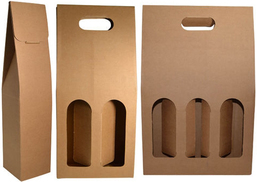 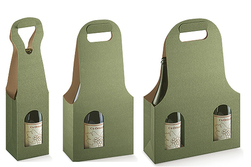 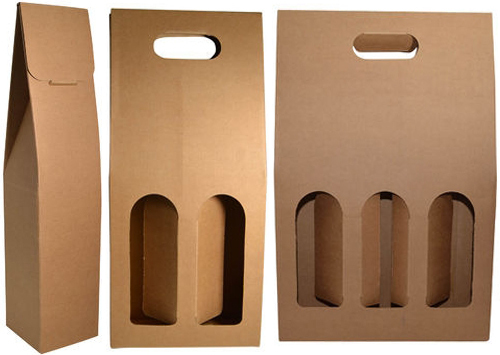 Wine boxes are great to package,transport,display wine bottle. Wine boxes will turn bottle into a gift. 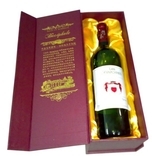 Gift Boxes Shop design,manufacture and wholesale wide range of wine boxes,wine carry boxes,luxury wine boxes,rigid wine boxes,folding wine boxes with many popular colors for one bottle,two bottles,three bottles,six bottle.We also offer custom made wine boxes as customer's specification. 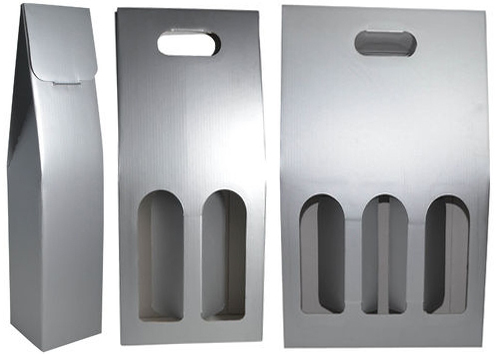 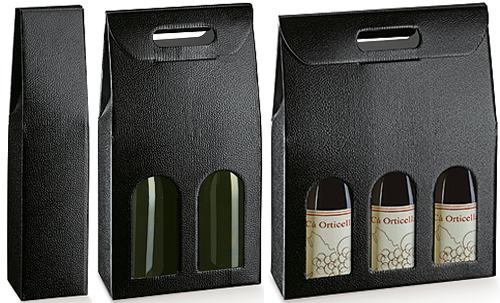 1) 3-1/2 x 3-1/2 x 15" 2) 7 x 3-1/2 x 15" 3) 11 x 3-1/2 x 15"
Nothing is better than rigid boxes to carry wine bottles and protect them safely. 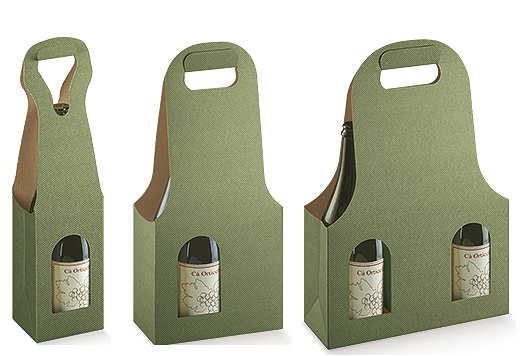 Foldable rigid wine boxes combine the advantage of rigid boxes and folding boxes together,coming in flat and easy to assemble into rigid box to offer strong protections as well as luxurious looking,At Gift Boxes Shop,those foldable rigid wine boxes are available 5 designs for one wine bottle--4 x 3-3/4 x 15"
Gift Boxes Shop wholesale wide range of wine boxes that are made of e flute corrugated board to offer natural feel to carry wine bottle on eco friendly way.At Gift Boxes Shop,those E Flute Wine Boxes come in many styles to fit one bottle,two bottles and three bottles,great as carry boxes,gift boxes,presentation boxes to package and transport wine bottle. 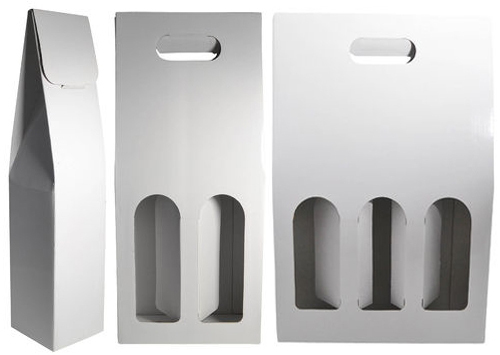 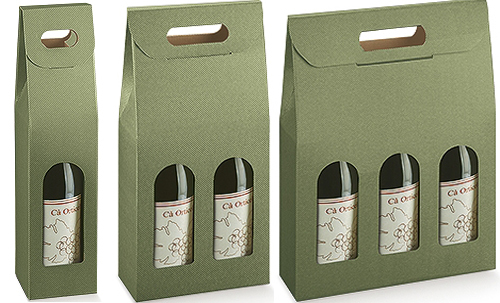 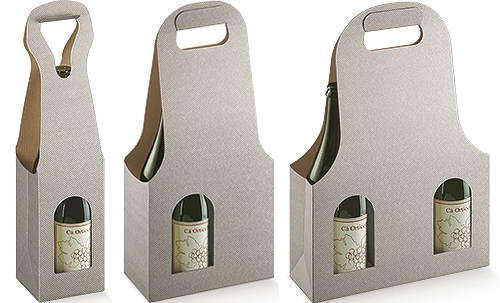 1) 3.5 x 3.5 x 15"
2) 7 x 3.5 x 15"
3) 10.5 x 3.5 x 15"
Those wine carry boxes are made of recycled and recyclable heavyweight kraft card paper to build strong construction to display,transport and protect wine bottle in green way.At Gift Boxes Shop those kraft wine boxes come in so many solid colors for one bottle,two bottles and three bottles.Custom logo can be printed on boxes. 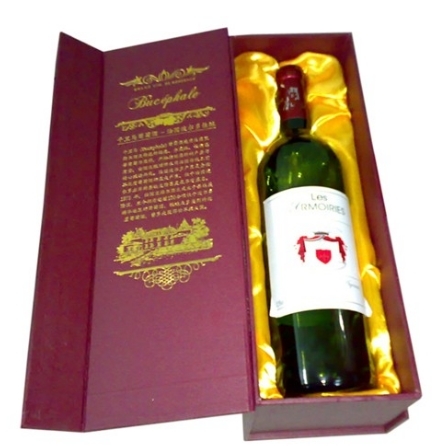 ​3) 10.5 x 3.5 x 15"
As custom made gift boxes and retail boxes manufacturer,Gift Boxes Shop specialize in manufacturing custom made wine boxes that are made of wide range of material with printing,finishes,shapes,styles as your desire to package your wine bottle and support your brand. 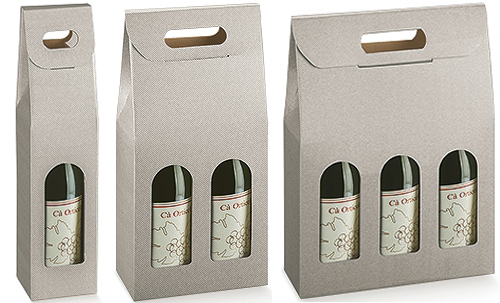 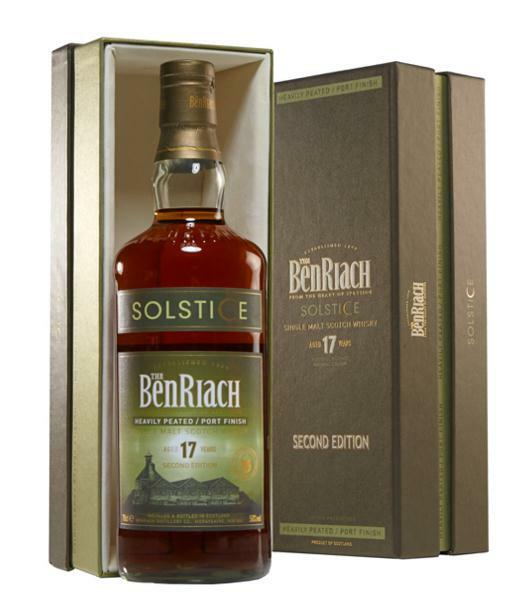 Rigid boxes are great as wine boxes to package and transport,because they are made of heavyweight paper board to build very strong construction,covered by different wrap paper with film lamination,coating or varnishing.Any color can be printing on rigid wine boxes for branding and marketing,hot stamping,embossing and uv spot can be used on rigid boxes to highlight custom logo. 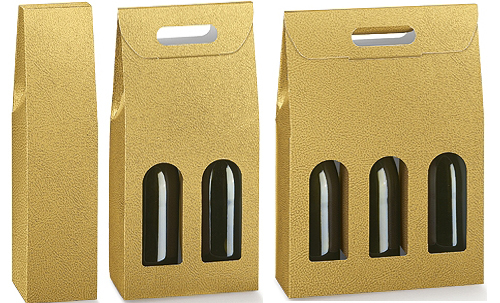 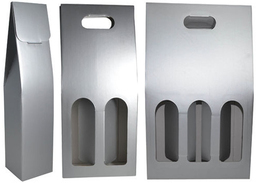 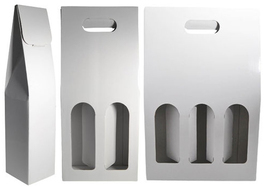 Various inserts are available to hold wine bottle firmly. 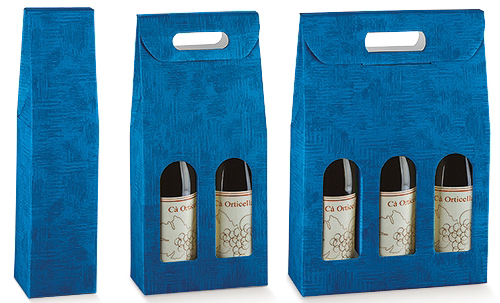 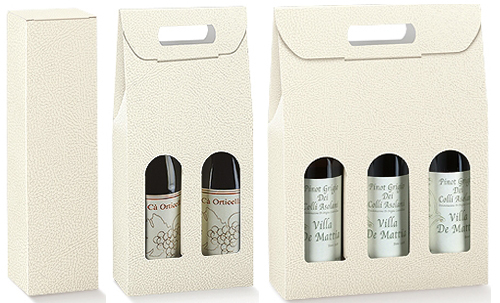 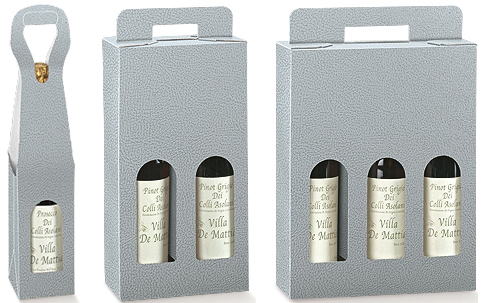 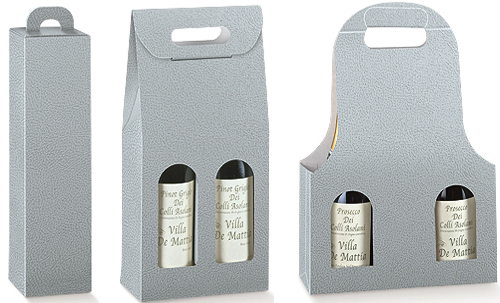 Rigid wine boxes have many styles,shoulder boxes,neck boxes with lift off lid are popular.Such as this box,it is made of 1500g paper board,covered by art paper with matt lamination,custom printing with logo,two piece with lift off lid and shoulder for one bottle. 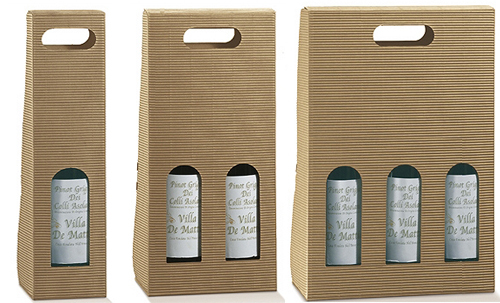 Hinged lid rigid boxes are another popular style to build custom made wine boxes.Those custom made rigid boxes are made of heavyweight paper board,covered by art paper with matt lamination to offer strong construction as well as silk,elegant looking and feel,hinged lid with flap,business information can be printed on inside of lid,great to display business information and wine bottle when open lid.As custom made gift boxes manufacturer,Gift Boxes Shop specialized in manufacturing custom made hinged lid rigid boxes coming in any size and color to suit customer's specification. 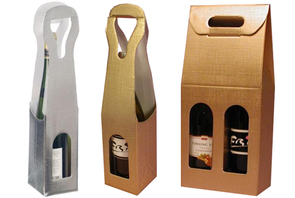 E flute corrugated board are popular material to build wine boxes that are 100% recyclable,strong enough to transport and protect wine bottle,flat to transport and storage.As corrugated boxes manufacturer,Gift Boxes Shop specialize in manufacturing custom made wine boxes that are made of e flute corrugated board with different covered paper and finishes,custom logo can be printed on wine boxes for branding and marketing.